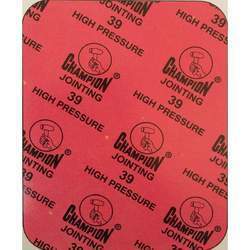 Offering you a complete choice of products which include champion sheet, champion style 20 steam, champion style 39 high pressure, champion style 51 high pressure, champion style universal metallic sheet and champion style 20 metallic jointing sheet. We have earned a sterling reputation in the industry for supplying and trading Compressed Asbestos Fibre (Style 51 High Pressure). The offered product is used in chemical, pharmaceutical and mining industries. It is durable, resistant to chemicals, thermally stable and resistant to wear & tear as well. This fiber sheet is available at industry leading prices as well. We are offering Champion Style 20 Steam to our client. 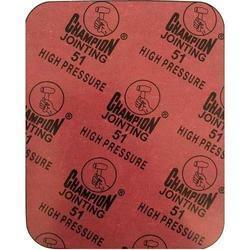 We are offering Champion Style 39 High Pressure to our client. 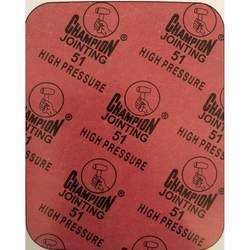 We are Champion Style 51 High Pressure to our client. 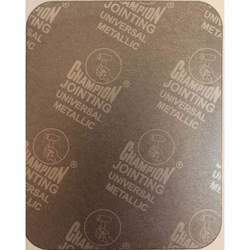 We are offering Champion Style Universal Metallic to our client. 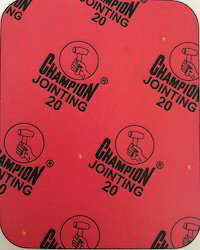 We are offering Champion Style 20 Metallic to our client. Looking for Compressed Asbestos Fibre ?